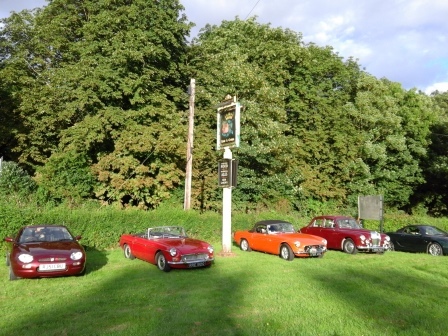 6 cars assembled at the Golden Cross for the convoy run to Severn Stoke, although it required some quick thinking when one of the roads leading to Severn Stoke was closed for repairs but an alternative route saved the day. 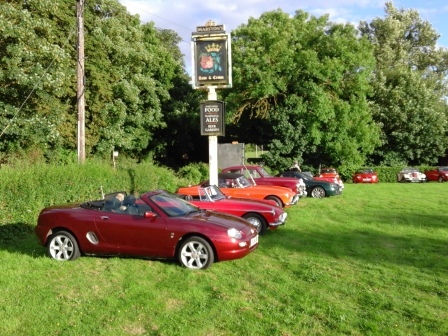 The pub was bathed in sunshine when we arrived and lined up on the grass behind the pub. A good evening enjoyed by all.